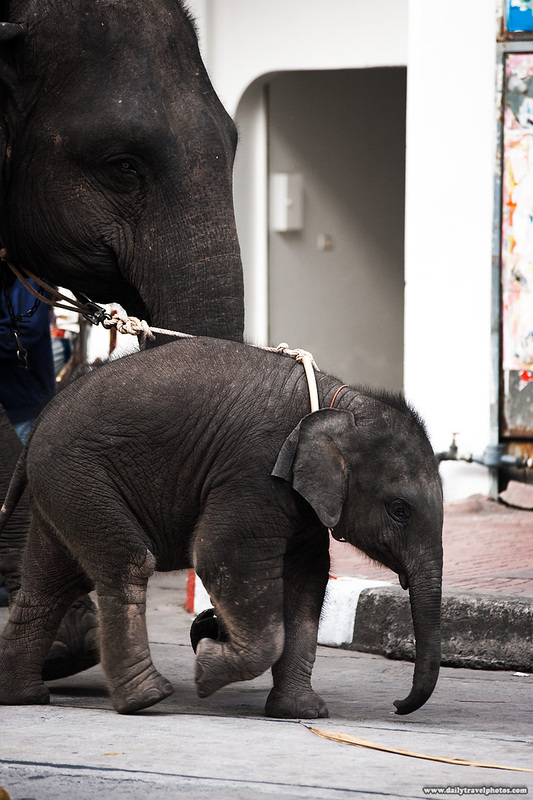 A baby elephant roams the street with her mother. It's not many places on earth that you'll see a mother and child elephant pair walking merrily down the street. 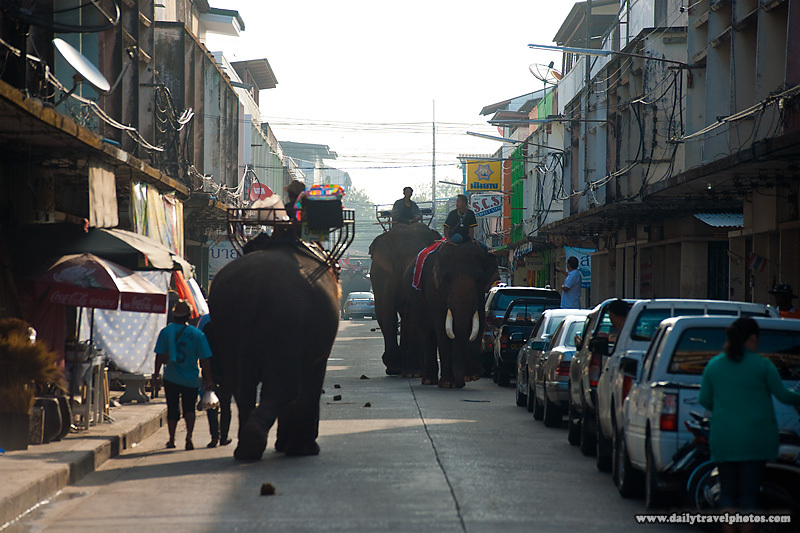 Elephants roam the back alleys of Surin, Thailand. @Harry, Thanks for stopping by!